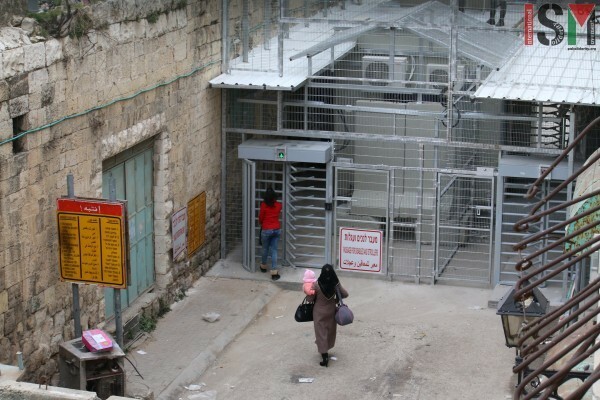 Since the 1st of November 2015 the Tel Rumeida area and Shuhada Street in occupied Al-Khalil (Hebron) have been declared a ‘closed military zone’. The first declaration of the closure was for one month, but since then the order has been extended several times. The newest order from the 1st of February declares the area as closed till the 1st of March with the chance of extension. The closure effects the residents of the area every single day. Every family living in the area has been given a number and was forced to register with the Israeli forces. When entering the area, through checkpoints, the residents have to show ID, give their number and often also answer questions and get bag and body searched. Friends and family of the residents are unable to visit them inside the area; even doctors or craftsmen are completely barred from entering the area. Furthermore, the closed military zone has let to the eviction of two human rights organisations based in Tel Rumeida. These are now banned from living in their houses and working from their offices and since they are banned from the whole area are not able to observe and document the rampant Israeli human rights violations. The closed military zone is clearly intended to force out Palestinian residents in order to allow for an expansion of the illegal Israeli settlements, and to evict human rights defenders to silence the truth of the Israeli forces’ harassment, attacks and human rights violations.